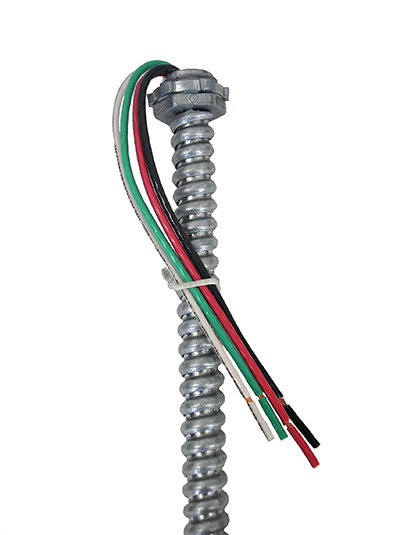 UL Listed as a complete wire assembly that complies with the 2017 Natioanl Electrical Code: Articles 348.20(A)(2), 348.22, 410.117(A), (B), and (C), and 410.137(C). File Number: E87199. Labor saving Fixture Whips that expedite the installation process when Contractors upgrade existing fluorescent luminaires with new energy saving ballast. 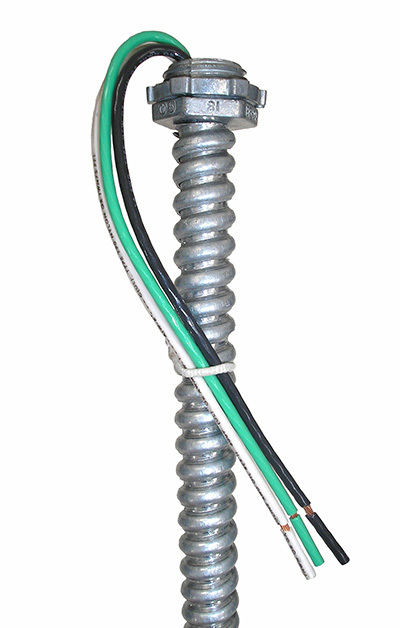 All stranded and solid wire conductors are stripped 5/8" (.625") from the end of the conductor and securely tied to prevent damage to the conductors and eliminate lost lock nuts. Includes Die Cast Screw-In Connectors on each end. Wired luminaire sections are paired, with a ballast(s) supplying a lamp or lamps in both. For interconnection between paired units, it shall be permissible to use metric designator 12 (trade size 3/8") flexible metal conduit in lengths not exceeding 7.5 m (25 ft.) in conformance with Article 348. Luminaire wire operating at line voltage, supplying only the ballast(s) of one of the paired luminaires, shall be permitted in the same raceway as the lamp supply wires of the paired luminaires. See Figure 1 under Other Views. FIGURE 1: Allowable application for a Flexible Metal Conduit (FMC) Fixture Whip with a maximum 25-foot restriction.